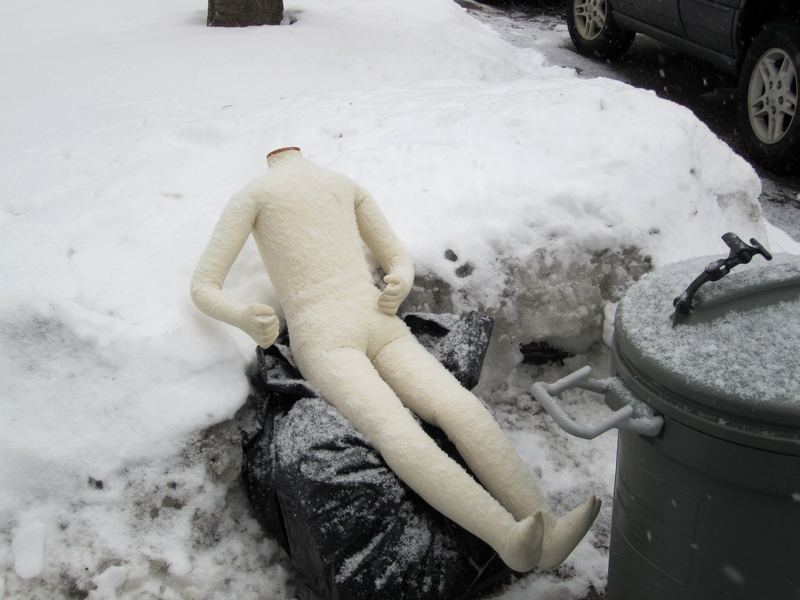 I came across this headless… I am not sure what it is, in a neighbor’s garbage. Anyone have an idea what this might have been before it was garbage. I don’t know about you, but I find this just a little bit creepy, with or without a head. Should I be concerned about what was in the garbage bag underneath? New Law. Move over for stopped emergency vehicles. Does this not see obvious? Call me crazy, but do people opt to slam into the back of a stopped vehicle as opposed to moving over? To the point where a law had to be passed?! I saw this on the road a few times and wondered… what the hell? I did not think about it much till someone brought it up to me today out of the blue, “Hey, Amy, I know you are the type to ponder this sort of thing. Have you seen those new signs on the highway? 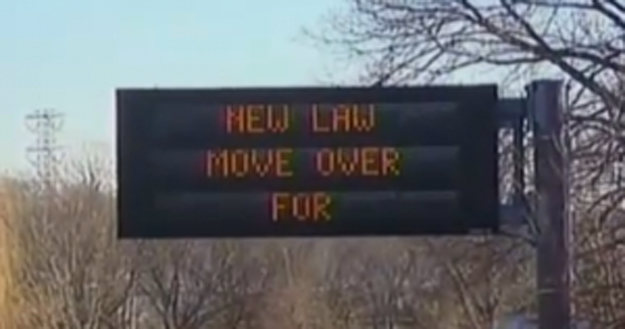 New Law…” at this moment we both said it together, “Move over for stopped emergency vehicles.” What does that MEAN?! Throughout the rest of the evening I asked a few more people who also did not get it. Some thought it meant to move to the right when you see an emergency vehicle in your rear view but the sign specifically says stopped emergency vehicles. And that the move to the right thing is surely not a new law… it is on the permit test for G-d’s sake! Ok, you know I could not leave that one alone. So I googled it. And yikes! How did we not have this law sooner. I urge you all to go over to moveoveramerica.com and read why this law came to be. It seems that idiot drivers would not change lanes when they saw the stopped vehicle on the side of the road, and the cop getting out of the car would get popped by the careless driver. How sad is that? Warning, some scary graphic vid on that site. It would appear from google image search that there is a major awareness campaign going on for this. Color me stupid, but I seemed to have missed it. And I suppose most of my friends did, too. So… what started as a what the hell funny story has now become a sort of a public service announcement. Because, you know; I can be that way. What a title! 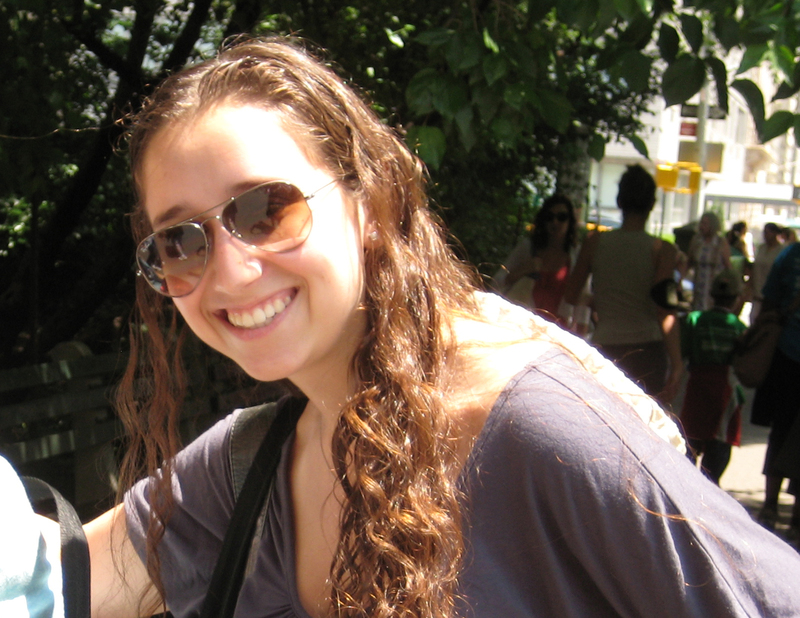 And what a perfect job for my daughter, Jana. She is it the ultimate camp counselor, the planner of all activities. She’s the one who gets everyone motivated, flights booked, lists made and out the door. So what better job for her during the University of Wisconsin Dance Marathon than to be the Morale Captain. Her job is to keep individuals energized and motivated to stay on their feet throughout the 15 hour event. And she doesn’t even drink coffee! As the mom that raised this kid I can tell you sleep was never a high priority for the first few years of her life, so she is well suited for the task. The Dance Marathon is a student run philanthropy project that funds the American Family Children’s Hospital. If you would like to donate to this fabulous event you can do so here. And who knows, she may even take your call when your feeling down and get you back on your feet again. I know she can always do that for me. 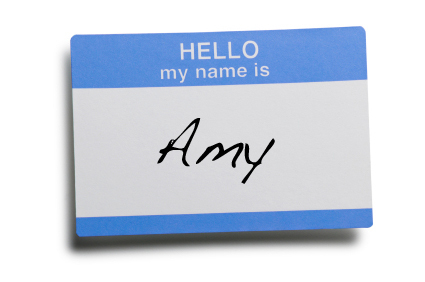 Hi, my name is Amy and I am a recovering volunteer. Ok, so maybe I have fallen off the wagon of late, but in a good way. For the past year or so I have taken a back seat on the volunteer front. Partially for work and family reasons and probably because I needed a break. But over the past few weeks I have stepped back into a couple of my favorite volunteer jobs. And I have to say I am truly happy to be involved again. Not so much for the work I do, but more for the people I do it with. There is something about being part of a community that is like nothing else. To share a common goal with a group of people that you would not normally meet in your regular day is so unique. Committees and boards are made up of a mixed demographic that broaden the way I think and the the way in which I look at the place I call home. Tonight I was at a meeting where people were asked to define what made this place so special. I was brought to tears with each response. Some answers touched me personally while others helped me get to know the person that shared them one step further. It was quite remarkable. There was something about the way that each person defined community that made me realize just how rare this place is. I am a big shot. I have always said when my kids were grown I would be out of here in a flash. But when I think of all that I would leave behind I am not so sure. The people who hold me up when I am falling and make me laugh till I could cry (when I have the time and of course on Tuesdays) are not so easily replaced. Community is what you are fortunate enough to have when you invest in the place you live. The people become part of your life and you become part of theirs. When you are truly a member of a remarkable community like mine, help is there before you even think to ask for it. The rewards outweigh the work you put in and the relationships you form last a lifetime. I love their tagline: We are keeping Long Island safe… and you can help! Really? In our sleepy little town this is the last item I would have expected to find on the way out of a supermarket . 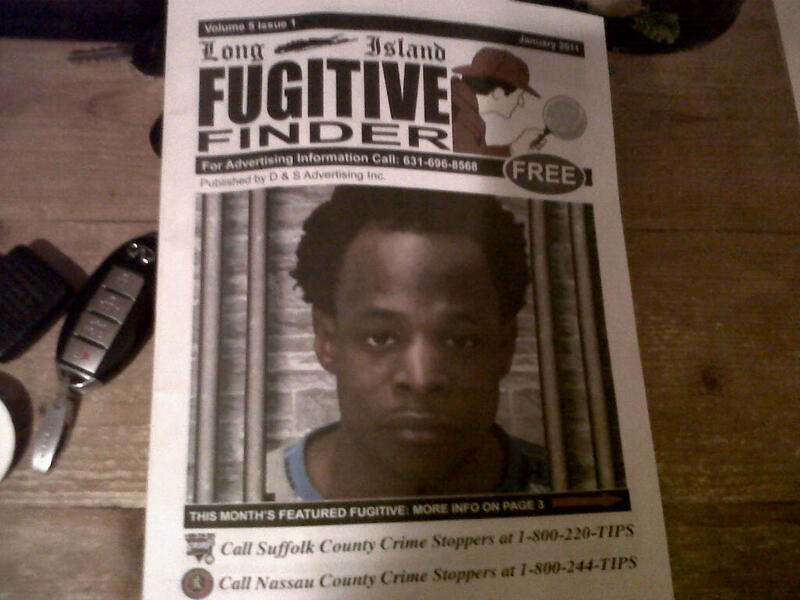 We particularly liked the Fugitive of the Month on the cover. I shudder to think how he earned that spot. Note that this paper is free. Seriously, would someone pay for the Fugitive Finder? Or is there a worry that it would be stolen? The whole thing is a bit creepy. If you are wondering who advertised in there we found a Become a Security Guard ad, a couple of attorneys, a bail bondsmen, a staff and recruitment company (odd, to say the least) and on their website this ad was my absolute favorite! 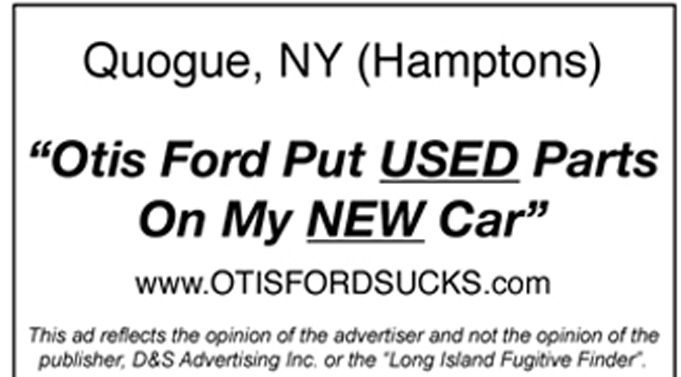 Guess someone was scorned out there in Quogue. We picked this copy of the Fugitive Finder up as a gift for our friend the criminal attorney. Let me preface this post with the fact that I have an 11 1/2 year old dog who I adore. That said, I also have 2 kids in college and money does not exactly grow on the trees in my yard (although we are pretty convinced it might on the trees of others in our zip code – note to self: buy one of those houses). This week our dog, Mel, was diagnosed with diabetes. I am happy to report that after a rough few days and fear that I would be working the night shift at Dairy Barn to pay for her treatment, the financial hit was not that bad. We will manage because… well because she is our friggin’ dog, for G-d sake and it is hard to put a price on her head… ish. Which brings me to a story about my dear friends in Rhode Island who called in a timely fashion as we were going through this with a story that is not to be believed. This is a bit long but worth following. And it has a major ‘ish’ to it. Their dog had a tumor in her eye. She is also almost 12. No pain, happy as can be, just an eye tumor. Vet recommended removing the entire eye and the cost of surgery was $2,800 plus-plus (hospital stay, meds, etc). They opted out and the vet had an attitude. Fast forward a few months or so and the tumor had grown out of control. They went back to the vet who then wanted to charge $4,000. They hem and haw and realized that with all the unexpected expenses that month (wisdom teeth, new boiler, etc) they simply didn’t have the cash and $4,000 to do surgery on a 12 year old dog seemed crazy. She had a good long life and their hearts were broken but they decided they had to put the dog to sleep. They say their goodbyes the night before. They bring her into the vet. They are sick. The receptionist tells them the vet wants to see them. They are then told that they have found someone who will adopt the dog and pay for the surgery but they have to sign the dog over to them. At this point of his telling of the story I am both laughing and crying and cannot breathe. Needless to say they grabbed their dog, left the vet and went for a second opinion. They went to a well known animal hospital that quoted them $2,000 for their canine opthalmic surgeon (still wondering why they need the specialist if they are taking out the whole damn eye) and they schedule the surgery. 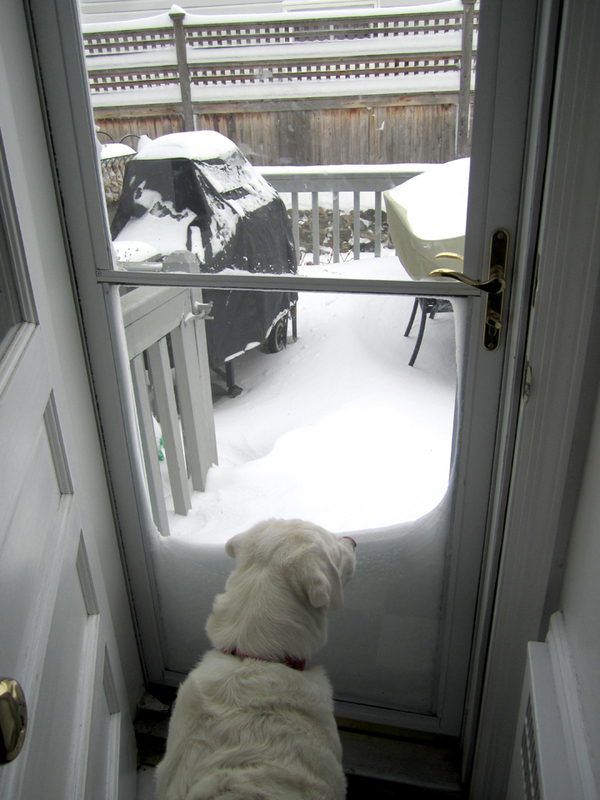 Of course there is a snowstorm and they have to reschedule. It gets worse. The next day they see blood on the kitchen floor and they find that the tumor has burst. They wrap the dog in a blanket and rush her to the doggie ER where they do emergency surgery, remove the eye, the dog is fine and the cost? $1,000 because it was emergency, not scheduled, and they did not use the specialist. Happy to report the dog is now happy as can be – sans one eye – and barks with a bit of a pirate’s accent. They are using the money they saved to buy a wardrobe of eye patches for her.